January wasn't a bad month. Though I'm quite unsure whether to call it good either. Good things happened, I might add but myeh. Maybe bittersweet is appropriate. I just couldn't describe January in just five moments. I was certainly not ready for January but I tried. Plus, I didn't do much so this could be a disaster Five Things post lol let's go for it. 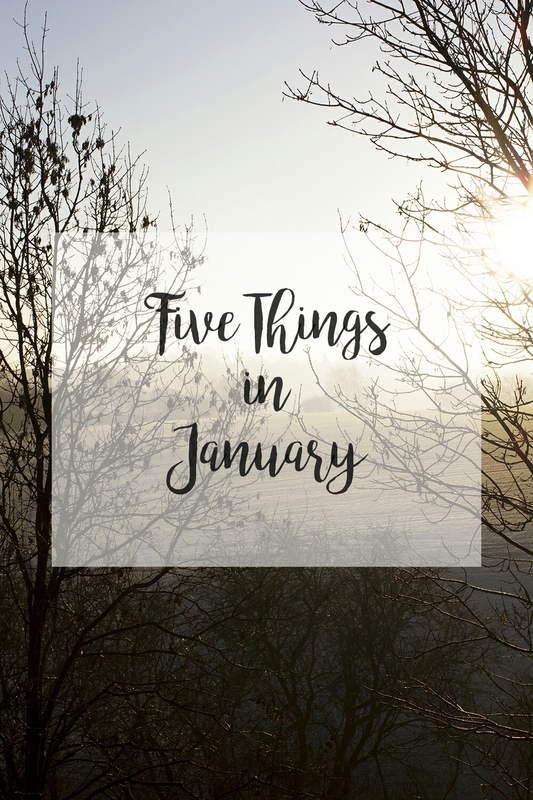 Here is my Five Things in January. 01. I have been slacking. Admittedly, I have fallen into a slump. It's not that I dislike blogging. Blogging is fun, it's just I haven't blogged the past weeks and I think mostly because of the atmosphere has changed here in blogging world. Or is it just me? You might not understand but it doesn't entice me at all. I do checked my blog every single day, I read emails but rarely reply them and same goes to the comments. I hope I can get my blogging mojo back. You know what, blogging honestly can be such a hassle and at times overwhelming if you are not in the mood. Or again, is it just me? 02. Such a sweet tooth once again. So, I got this subject in school where it requires everyone to sell something. It doesn't matter what you are up to as long as you can reach the profit target of MYR50 in just a month. Me and my friends decided to go for brownies! Oh. My. Goodness. I'm not trying to brag or whatsoever but it tastes sososooo good you guys! Everyone who knows me, knows I don't like chocolate. I'm fine with chocolate flavored drinks but desserts that I'm pretty sure 80 percent of the ingredients is chocolate are no no for me. This, however, makes me want to eat it all day errday! This could potentially be my every day meal. I'm not in my sweet tooth phase for a looong time already but I couldn't resist this one. This is for the win. 03. New pair of contacts! Finally a new pair of contact lens. I have been wearing the same contacts that I did review here on my blog. You can read it here. 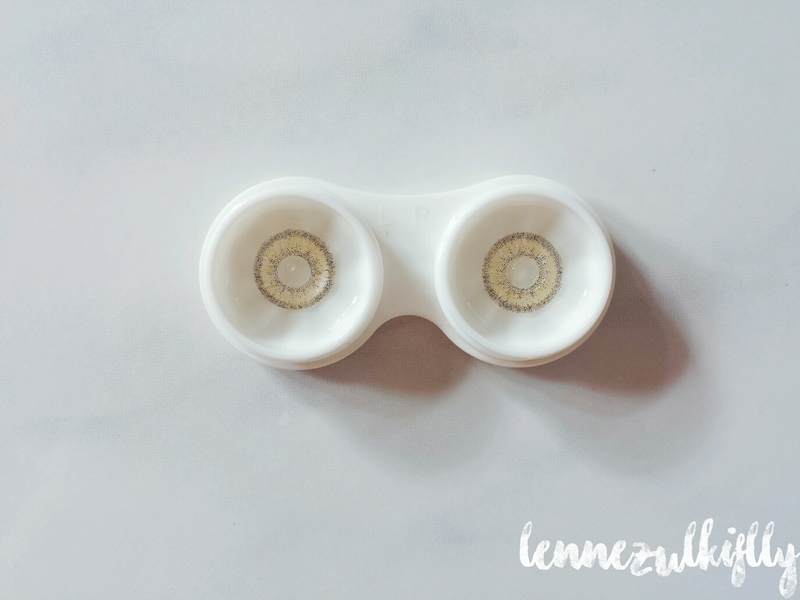 If you are thinking of a review about this new contacts, I can work on it but surely not this week, or next week, or the other week. Lol please bear with me. Overall, I'm loving it so far. The enlargement is perfect and slightly natural looking type of contacts. We can talk more about this in a separate post, aye! 04. Hate hitting pan on most of my makeup. I don't even know why I'm hitting pan on most of my makeup. Well, I should know. I wear them every day, that's why. But why they decided to hit pan almost at the same time? I actually hate hitting pan on my makeup. Who's with me? I can get anxiety out of it, I know it sounds dramatic like our mother but that's the truth gurl. And since I'm on the mission of saving money this year, that means more anxiety to come. Even 10 dollar is already flipping expensive to me lol. 05. Instagram live is so fun! Don't get me wrong, I didn't even start the whole shebang. However, I came across a lot of people on Instagram who started this Insta live being really fun. I enjoyed it most of the time. Especially those who shared their skincare routine or makeup routine! Ahh so satisfying to watch. I know I'm a weirdo. So, I came across this steward's Instagram live and watched his skincare routine from the scratch and I was so mesmerized. I have been wondering all this years how come he has such a flawless skin, now I know. I guess that's all I have to say for now. I hope you enjoyed and have a wonderful day ahead. The only insta live that I had watch was a singer named haelhusaini.. ._. ikr! sometimes they're too much for me but this one is just perfect for my liking. ahh i know him but not a fan of him haha. 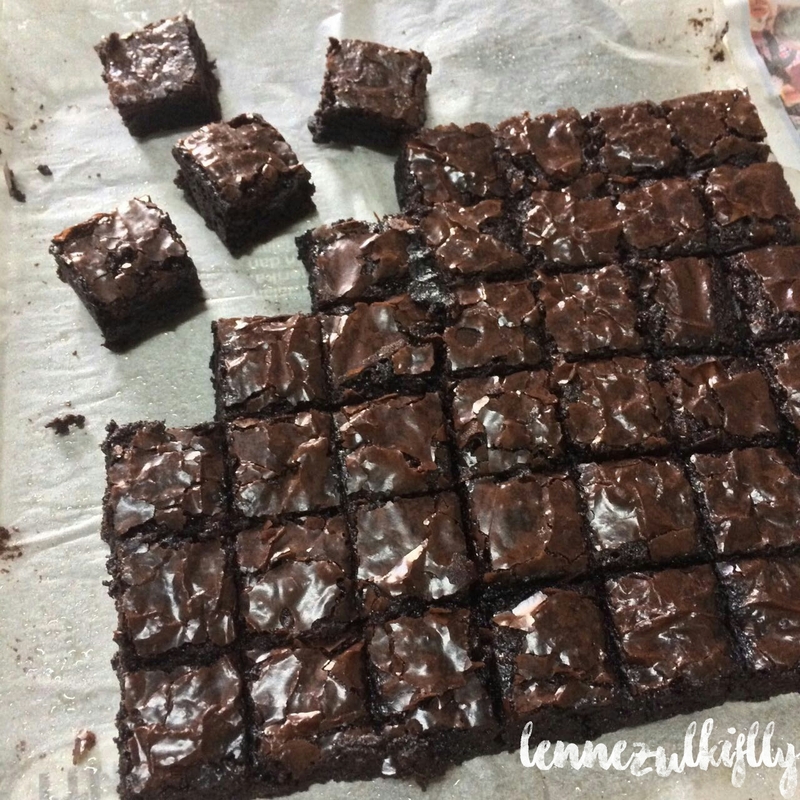 the brownies look so good! I've been in that blogging slump I even didn't update for months. 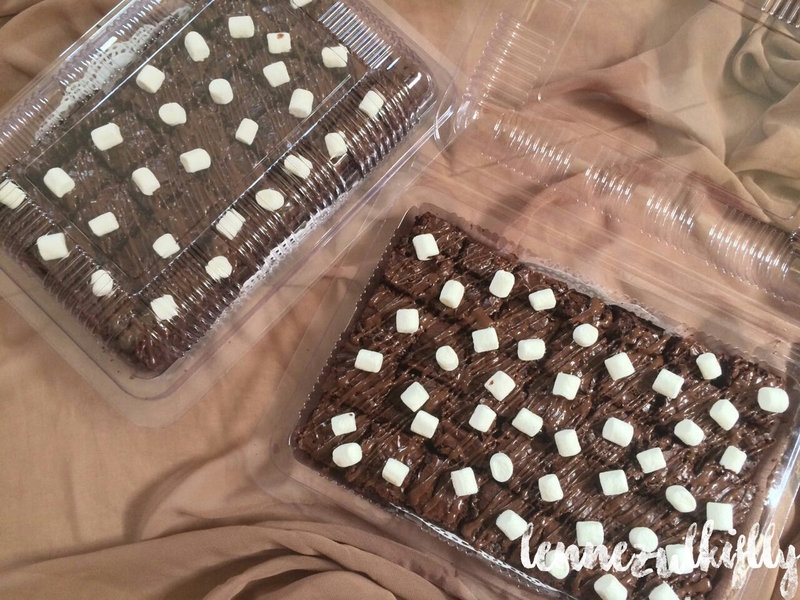 The brownies looks so good, I'm brownies enthusiast but with no almonds. haha. So I tend to bake rather than buying them coz most yang jual ada almonds. I loove chocolate! I sometimes enjoy instagram live too especially if my friends doing it, no matter if it just them lazing around and talking gibberish haha. gosh! that's quite a long time haha but yeah it's just sometimes we need a break. well I guess this will floats your boat because there's no almonds! I'm allergic to it so. alahai sedapnya bronis tu lenne! 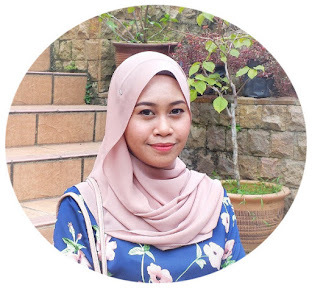 hari ni dah 3 blog ada gmbar bronis. hehe. terliur habis! I just know the meaning of hitting pan, thanks for this new vocabulary for me. I'm going to try to name myself brownies because I love chocolate. It's quite funny how someone who didn't fancy chocolate actually succumb to one particular dish made from lots of chocolate. This is my first time learning hitting the pan term. I was nearly sure you are going to talk something about cooking.